What if I told you that you can keep your “dumb” light bulbs and just make one simple alteration for the same features as smart lights? Our Emberlight smart socket review will prove that to you. That’s right: Emberlight isn’t a smart light, it’s a smart socket. 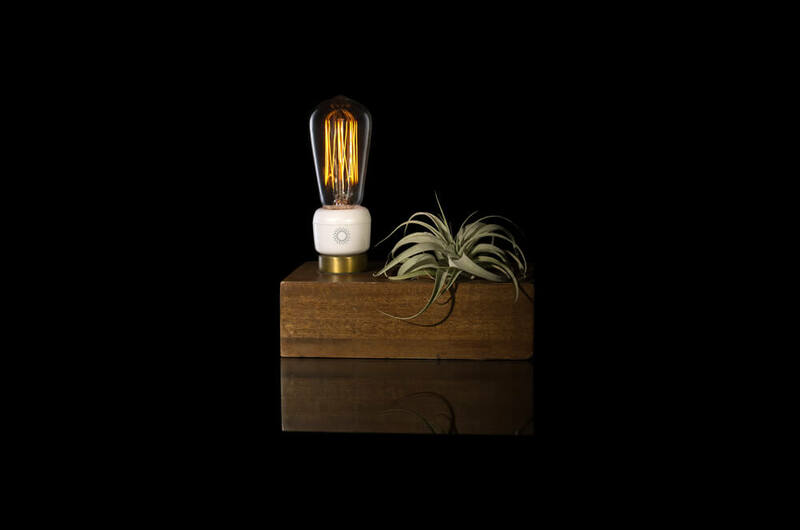 Twist any bulb into the smart socket and control it with your smart phone. It started as an Indiegogo project that launched 6 months ago and is now for sale on Amazon and elsewhere. Let’s dive into what the Emberlight smart socket has to offer to see if it’s right for your home. 1.0.5 What’s the bottom line? Emberlight smart socket doesn’t require a hub, which essentially means one less purchase plugged into your cluttered router. To set up, simply screw in the socket, screw in a light bulb on top, download the app, and connect. Typical incandescent light bulbs up to 40 watts work with Emberlight, or you can also use a dimmable CFL or LED bulb. The idea behind Emberlight is that it lets you can keep your current bulbs, which is particularly nice for those who just replaced their lights with long-lasting energy efficient light bulbs. Make sure the light bulbs are Edison sized 26 or 27. Emberlight actually has a full list in Google Drive of light bulbs that they have tested with the device, so you can reference that as well. It can connect to your phone with either Bluetooth Low Energy (LE) or WiFi – most smart lights can do one or the other, but not both. It’s available for both iPhone and Android, although it doesn’t offer desktop access. For outdoor usage, Emberlight is certified for damp, but not wet environments. Their website states that it can be used for exterior light only if it’s not in direct contact with weather. I probably wouldn’t stick one outside, but if you’re brave then go for it. Works remotely and allows temporary access for guests. Similar to smart bulbs, Emberlight has some of the typical features that make smart lights so appealing, but their focus is more on keeping the controls easy and quick to use. Tap the app in Emberlight to access your preset light levels. You can easily dim a group of sockets with one touch. Schedule your lights to turn on or off at the same time everyday. Emberlight doesn’t have any direct connections with Amazon Echo, SmartThings, or other smart home systems or devices, as far as we can tell. It does, however, have IFTTT (If This Then That) compatibility, which opens up more smart home capacity. So while you technically have to say “Alexa, trigger light on,” instead of an easier phrase (like “Alexa turn on the light), using IFTTT as a free tool in conjunction with your Emberlight is an effective workaround for using voice control with Amazon Echo and Emberlight. Using IFTTT, you can also enable proximity detection. This means that when you enter a room, the light automatically turns on, and when you leave, it turns off. 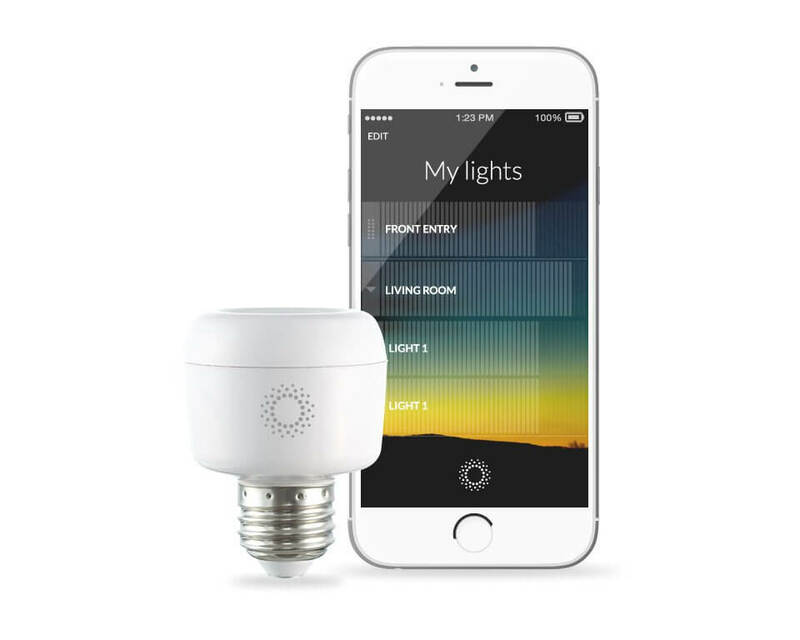 Other smart bulbs have the capability, but again, you have to replace the bulbs that you have and sometimes need a hub for more advanced home automation like proximity detection. However, the socket will take up a little more space by raising the bulb higher than it would normally sit. It will extend your bulb approximately 35 millimeters, so you will want to check to see if it will raise the bulb above your lamp shade or have a clearance issue. Emberlight suggests circumventing this issue with smaller bulbs (A17 or less) or extending the harp of the lamp (the harp is the metal part that bends down – I didn’t know it was called a harp until this exact moment). Use a harp extender or shade raiser if needed. Priced at $50 at the time of writing, Emberlight is expensive for a single device that still requires a bulb. If you’re outfitting your entire home, it might not be a good fit. 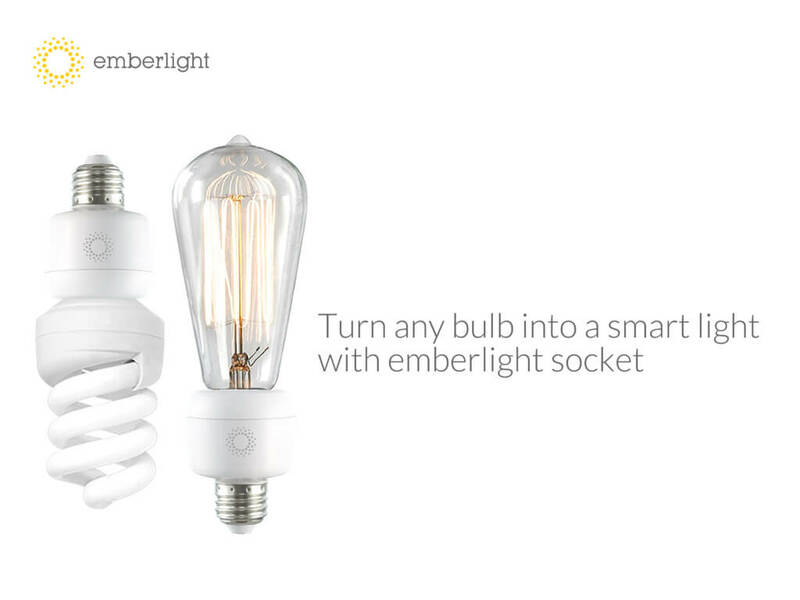 But if you’re wanting to play with a new smart home device that focuses on automating your lights, or you have nice light bulbs you don’t want to throw out, Emberlight is a good choice for individual lamps or devices. The company is certainly still in start up mode, but hopefully they will continue to grow and enhance the features of the app to make it more advanced and smart home compatible. That’s a wrap on our Emberlight smart socket review. If you want to explore traditional smart lights, check out our smart lights comparison or answer a few questions in our free Smart Home Solver tool to find the lights that will work best for your current devices and preferences.